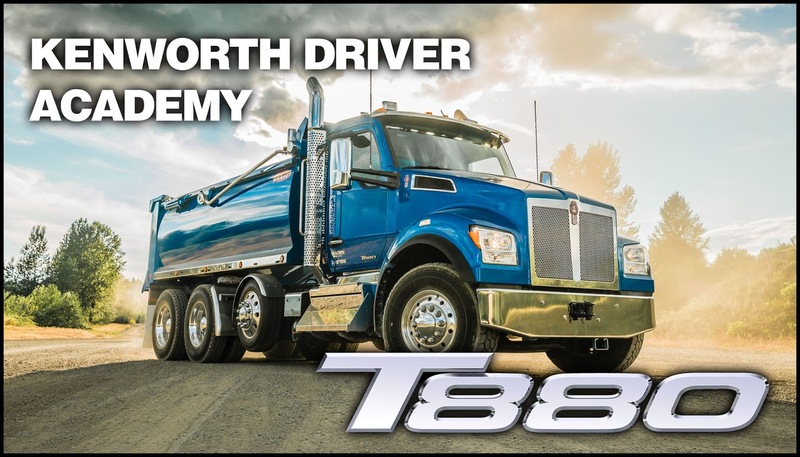 KIRKLAND, Wash., Oct. 9, 2017 – Kenworth has launched the T880 Driver Academy training video series for customers operating Kenworth’s T880 flagship vocational model. The T880 provides a durable, reliable and productive truck for vocational fleets and truck operators in mixer, dump, heavy haul, bulk haul, oilfield, logging and refuse applications. The video series is currently available on the Kenworth Truck Co. YouTube channel. The videos will be coming soon to the popular Kenworth Essentials App, which can be downloaded to smartphones and tablets from the Apple Store or Google Play Store by searching for “Kenworth”.